If you hate broccoli, you’re not alone. I love broccoli. I crave it. I actually insisted we buy a head of broccoli this week because I was craving the sharp, slightly bitter taste. To me, the taste of broccoli is the taste of fall. 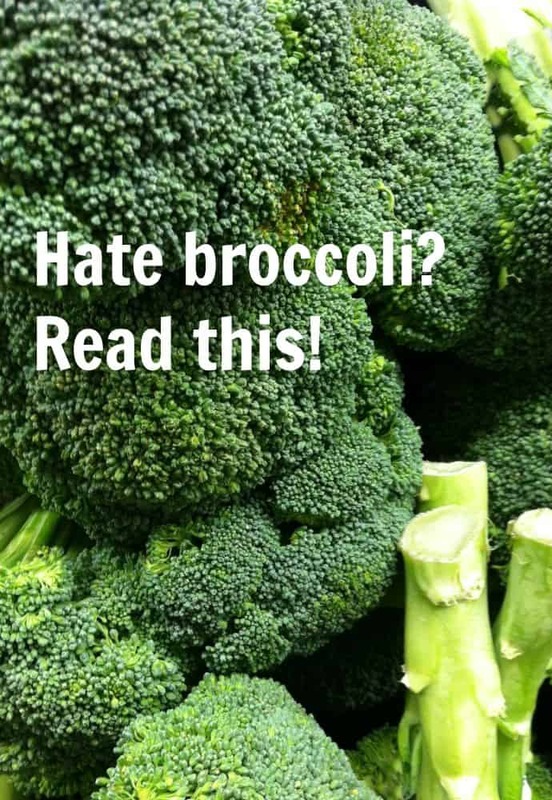 Here’s why you may hate broccoli…and how to possibly turn broccoli haters into broccoli lovers! I’ve always loved broccoli. Part of the reason why I love broccoli is more to do with the memories I associate with the vegetable. My Uncle Clarence lived in Cutchogue, New York, a rural community on the eastern end of Long Island. In the fall, he would drive into Nassau County to visit family members. I vividly remember crates of broccoli in the trunk of his car, bounty purchased at the eastern Long Island farm stands. He would give us big sacks of broccoli and cauliflower in the fall. I loved them both – probably not as much as the chocolate Easter bunnies he brought in the spring, but yes, I did love the broccoli! Fresh, farmstand broccoli tastes so different from what I purchase now at the supermarket. Sweet. Not bitter at all. But then again, I suspect I’m one of the weirdos who just love broccoli…because my genes make it so. If you hate broccoli, you’re not alone. There are compounds in the little florets that can taste bitter to people. About 70% of people taste a bit of bitterness in broccoli. However, for 20% of the population, it’s just awful. Why? Blame your genes. According to SBS Science, people born with two sets of the gene hTAS2R38 taste the bitterness in broccoli, cauliflower, and Brussels sprouts differently than others. To them, broccoli doesn’t just taste bitter, it tastes BAD and bitter. It’s not in their head. It’s in their genes. If your ancestry is British, you probably like broccoli. Only about 30% of Brits have double copies of that gene. Native America? Likely to hate broccoli. An astonishing 98% have doubles of that gene! What about the 10%? 70% taste bitterness, 20% taste awful bitterness, and the remaining 10%? Oh, I probably fall into that category. I crave it. I love it. My own gene for tasting bitterness must be really turned down low. Another problem is commercially grown broccoli plants. Most of it is grown in temperature climates and harvested before it’s been chilled by a frost. The first frost of fall tames the compound blamed for broccoli bitterness, glucosinolate compounds, bringing out the sweet taste. 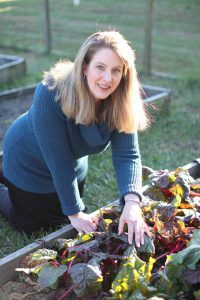 If you’re growing broccoli plant in the home garden, let it get bitten by the first frost. The approaching winter’s bite tames broccoli’s bite, and your broccoli haters may like it even better. However, for those with the double copy of the gene, scientists say you tend to eat fewer vegetables than the remaining populations because your ‘bitterness’ sensor is turned up on loud. In other words, you taste any residual bitterness whether it’s in lettuce or broccoli. For you guys, the best way to get your fruits and veggies is to find the sweetest ones you can and enjoy them to your heart’s content. We’ll understand if you pass on the broccoli.